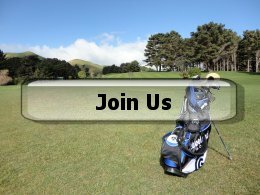 The Ohariu Valley Golf Club is a club that places a heavy emphasis on fun, enjoyment of the game of golf and camararderie amongst members. To support these aims, the club runs its club days every week (see the fees page for times), and on each club day the competition is held as a “disc draw” and with a “shotgun start”. A competition fee of $2 applies to enter the Club’s events. The “Disc Draw” consists of each player being randomly selected to play in groups of four. As a result everyone gets to eventually play with everyone else and gets to meet all the other members. The “Shotgun Start” means that all the randomly selected groups of four start at the same time at different tees. This means that everyone finishes at the same time and are welcome to all socialise together afterwards. If you wish to join the club, you can download the membership application form by clicking here (word doc) or here (PDF version). Alternatively you can contact the club through the contact information on the contacts page. The Club will allow use of Golf Carts/Motorbikes when a member/visitor is unable to walk 18 holes and a medical certificate supports this. Application, in writing, must be made to the Club’s Match sub-committee for approval. The full policy is displayed on the Club notice board. To check on fees, see the fees page.